I have a cup in this show. Lots of very interesting work from other artists in a wide array of media. Openings at the Overland Gallery are always fun. Barley Hollow pottery is available for sale. 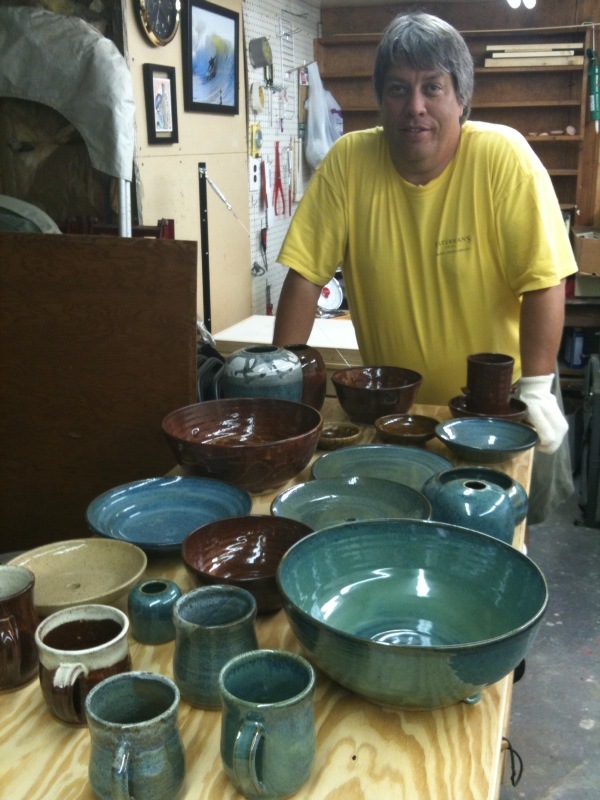 Check this page to find the dates and locations of events where Barley Hollow Pottery will be a vendor. BBQ Festival on the Neuse, Downtown Kinston, NC This is Kinston’s big, annual festival. The BBQ is great and there’s so much to do. Check out the Arts Market and the Farmers Market for lots of great locally made art and craft items, as well as great local produce and food items. It’s always the first weekend in May. The Overland Gallery, Kinston, NC This gallery routinely has shows and sells works of local and regional artists. You can now find a selection of Barley Hollow pottery there. Kinston Farmer’s Market Various dates during the summer. None currently scheduled. Check back for details. Or better, sign up for our emailing list. I’ll send out a note when there’s enough available to make a visit to the Farmer’s Market worthwhile. Community Council for the Arts – Gift Shop A selection of Barley Hollow pottery is available in the gift shop. If you just have to have some pottery, you can email me and make an appointment to see what’s sitting around in the studio waiting for the Farmer’s Market. Or you can look at the more recent posts on my Flickr stream. Thanks for your interest. Be sure to introduce yourself if you see me at the Farmers Market or elsewhere.